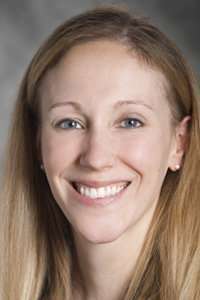 The study, headed by Kara Whitaker, assistant professor in the UI's Department of Health and Human Physiology, examined 30 years of data on cardiovascular health behaviors, which established that black Americans have lower health behavior scores than whites. The researchers examined a host of reasons and determined that socioeconomic factors—notably income and educational level—influenced the differences in health behaviors between the groups more than other variables, such as an individual's emotional state or the neighborhood in which one lives. "The gap in education and income are the critical causes," says Whitaker, corresponding author on the study, published in the American Journal of Preventive Medicine. "We are arguing here that our societal structure makes it more challenging for black Americans to have the same level of socioeconomic status as whites. This study highlights the profound impact of socioeconomic factors, which are mostly beyond an individual's control, on health behaviors." "Making the same educational opportunities available to low-income individuals, regardless of race, would be a great starting point," Whitaker says. "A lot of people born into poverty have less opportunity to go to college, for example. That's one area that could be addressed." "The race disparity in health behaviors starts very early on," Whitaker says. "This is attributable to factors such as education level, which may not be under an individual's control."